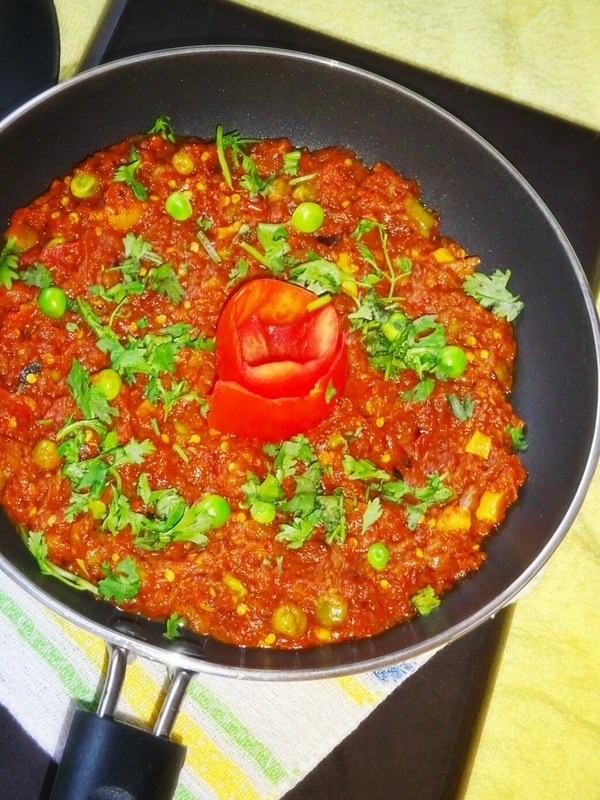 How to make Baingan Bharta | Baingan ka bhurtha |Wangyacha Bharit | Baingan da bhurtha Recipe with step by step photos | Spicy Smoky Roasted and Mashed Up Eggplant Recipe. 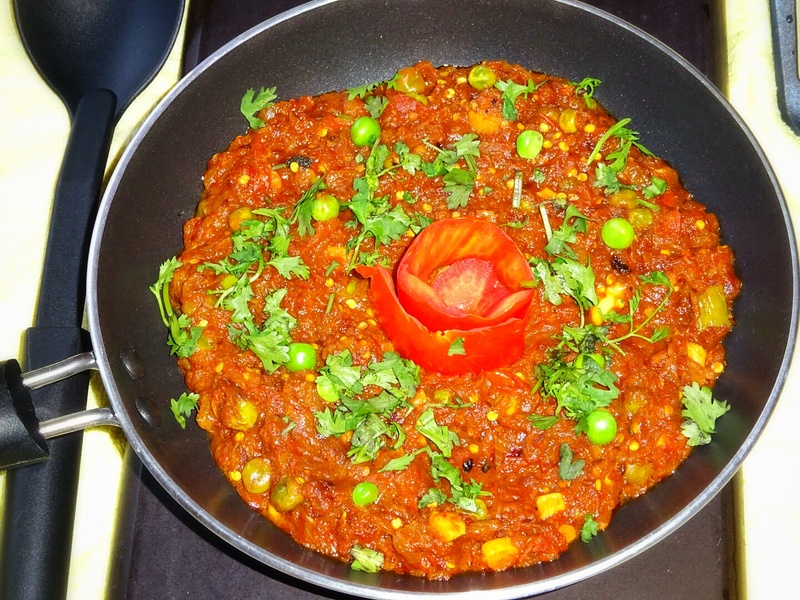 A Baingan Bharta is a Classic North Indian Recipe. 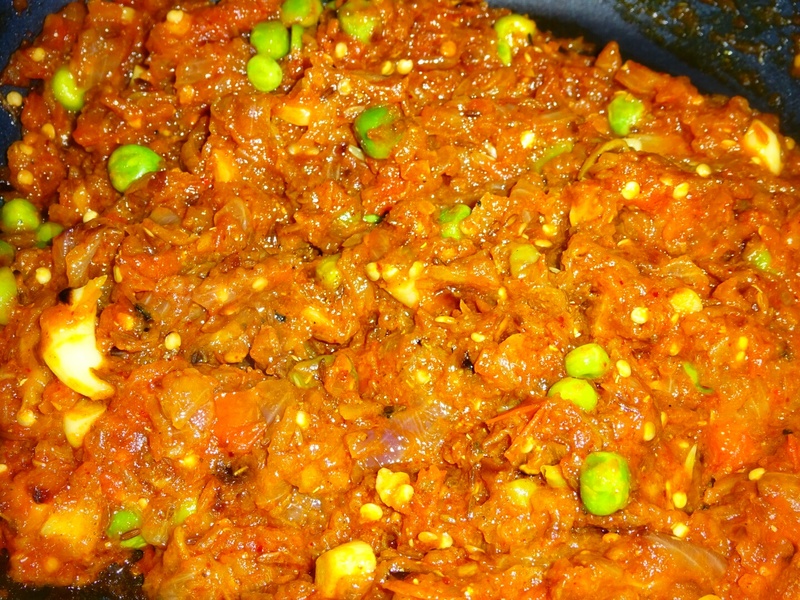 The word Baingan means Brinjal (egg Plant) and bharata means mashed up. 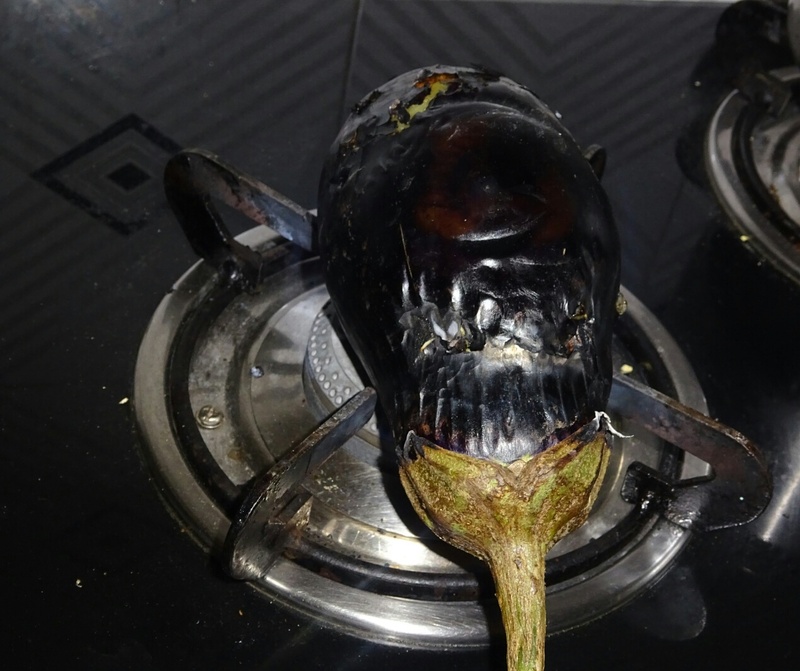 In this recipe, action plan will be roasting, cool down, peel off and then mash the eggplant. 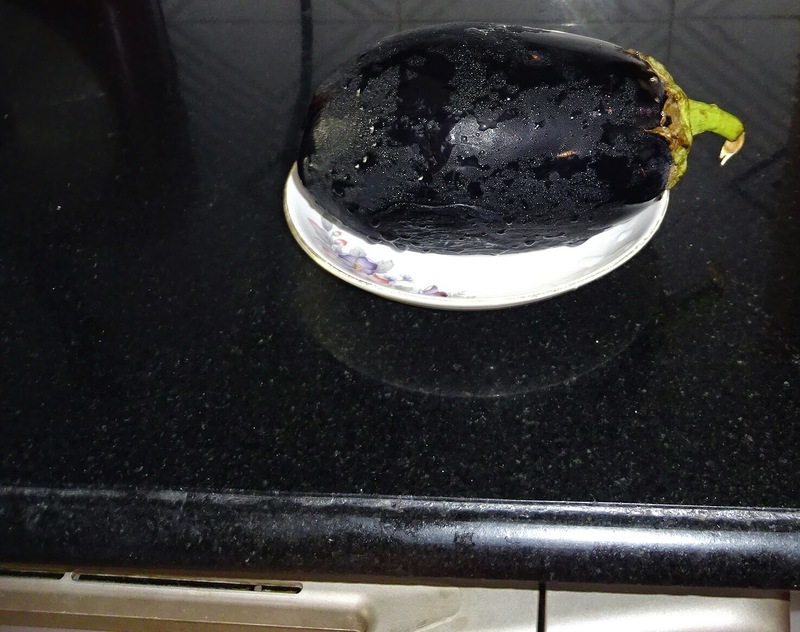 For this recipe select large brinjals with a shiny smooth surface as these are more likely to be less number of seeds. 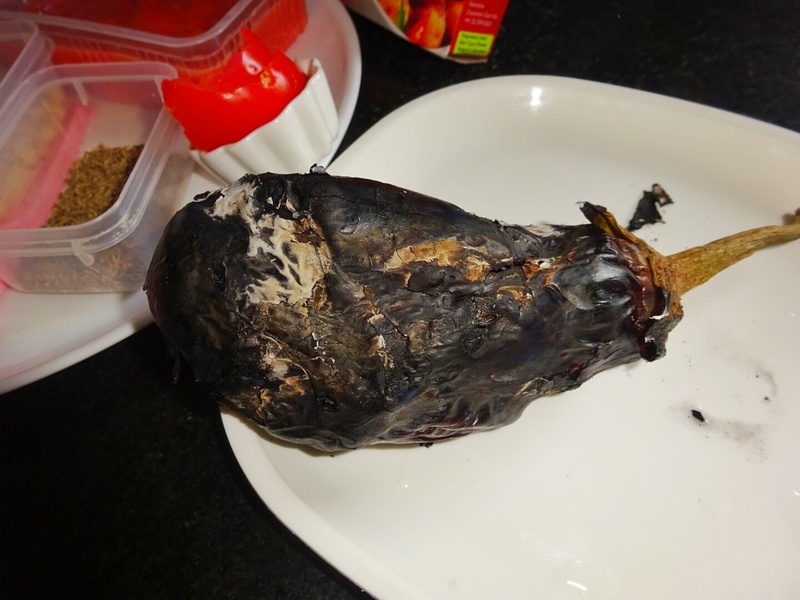 First we put eggplant on roasting - direct on cooking gas stove, if you want, you can bake it in OTG, but i prefer roasting on cooking gas, after roasting cool down, then remove the skin and mash the eggplant. 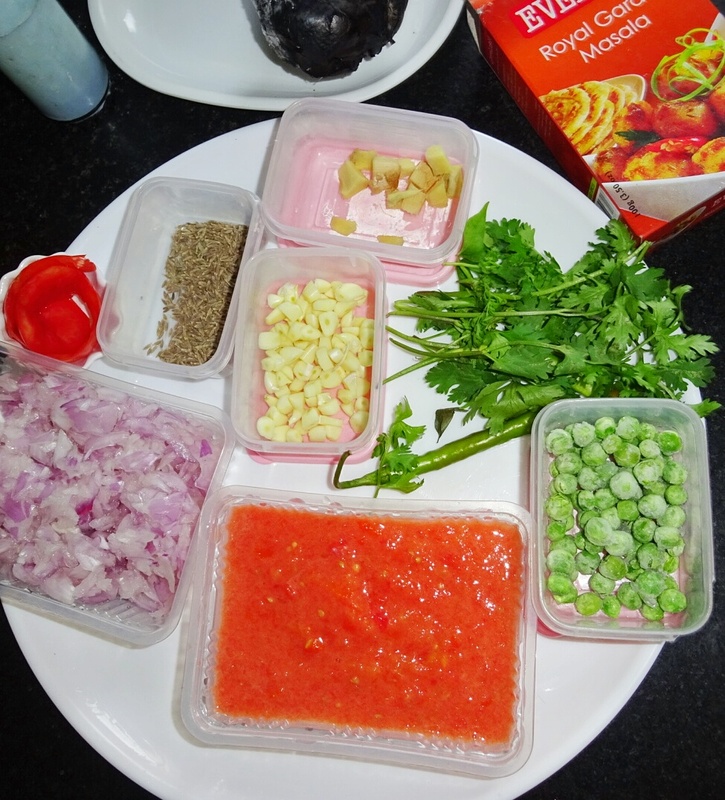 Then only you can able to remove complete skin, else it will result in lot of waste and difficult to remove the outer skin. 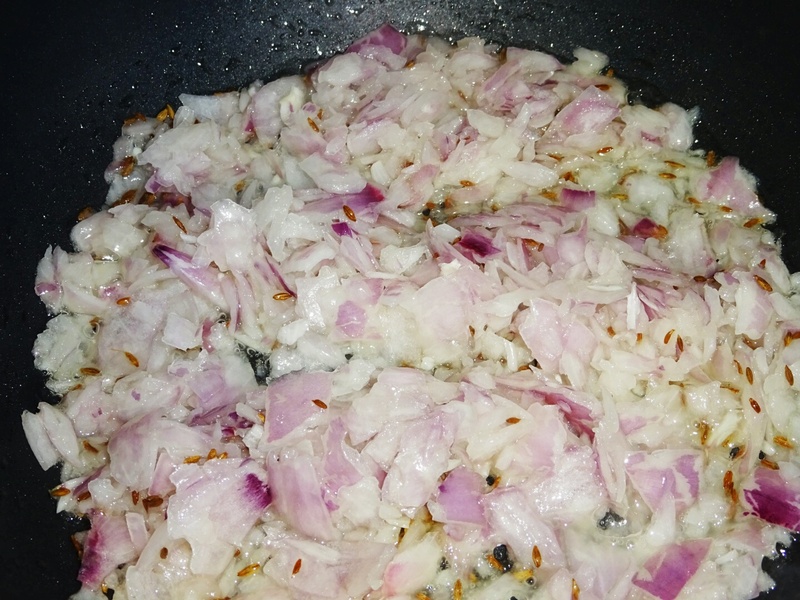 ⚫✏ add onions, saute until translucent. ⚫✏ This will take 2-3 minutes on high flame. 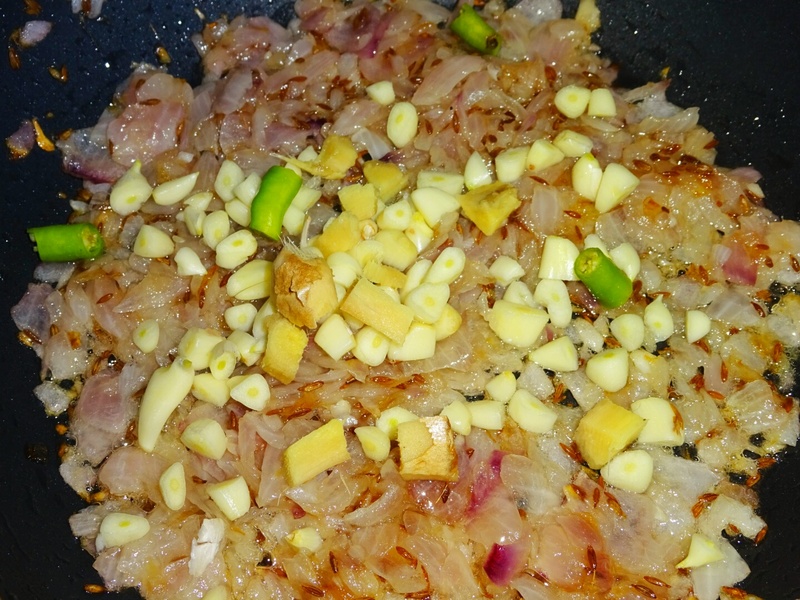 Then add chopped ginger, garlic and green chilies. 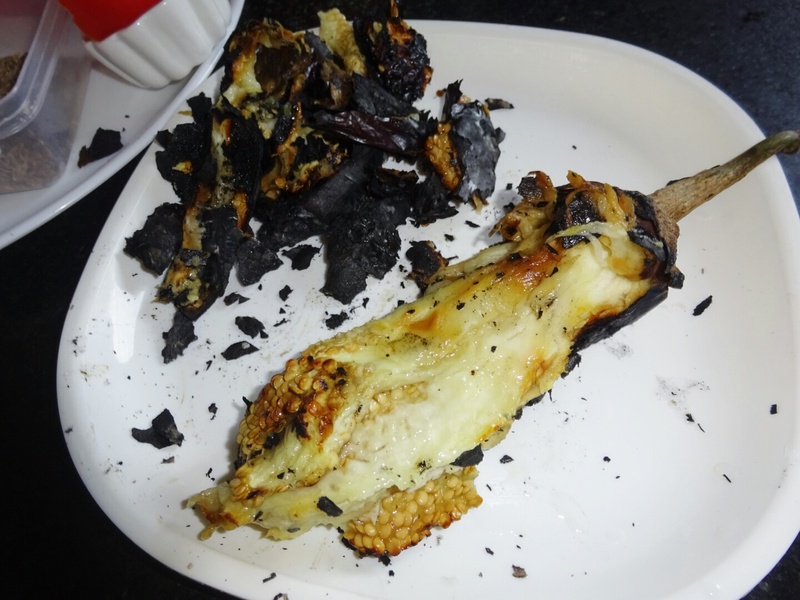 Saute on high flame for 2-3 minutes. 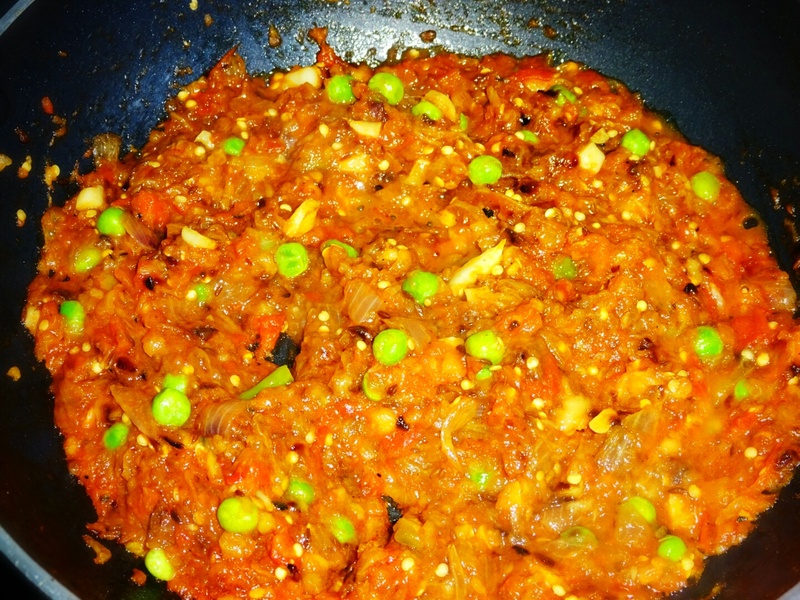 ⚫✏ Now add tomato puree and cook for another 2 minutes (first one minute on high and then on slow flame). 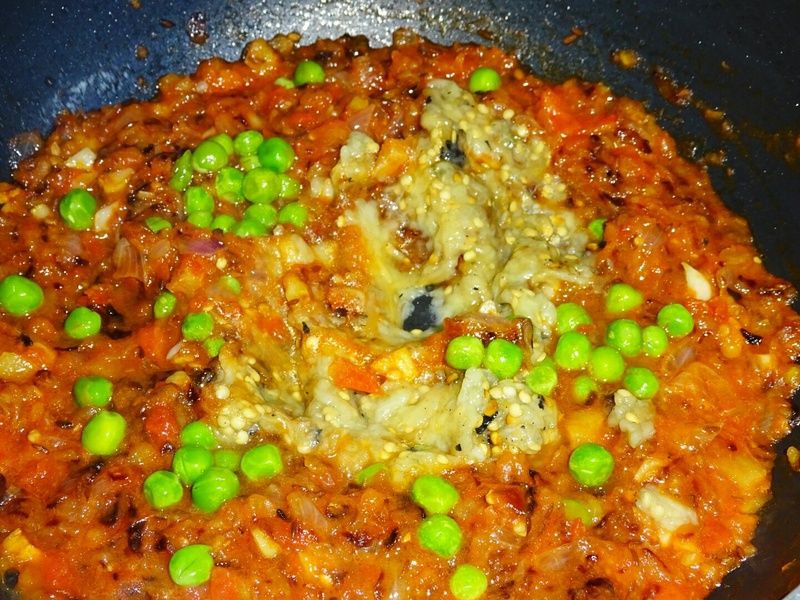 ⚫✏ Now in that add mashed eggplant and boiled peas, mix well. 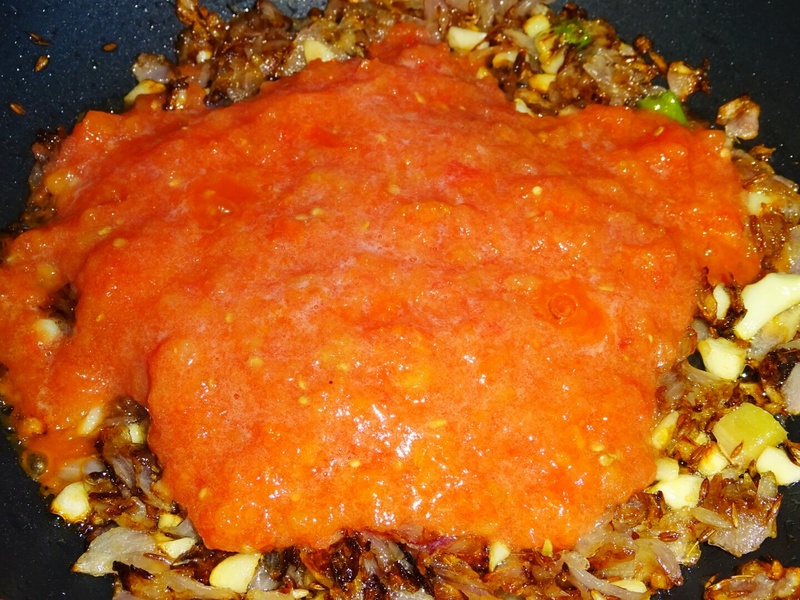 Saute on high flame for 2-3 minutes. 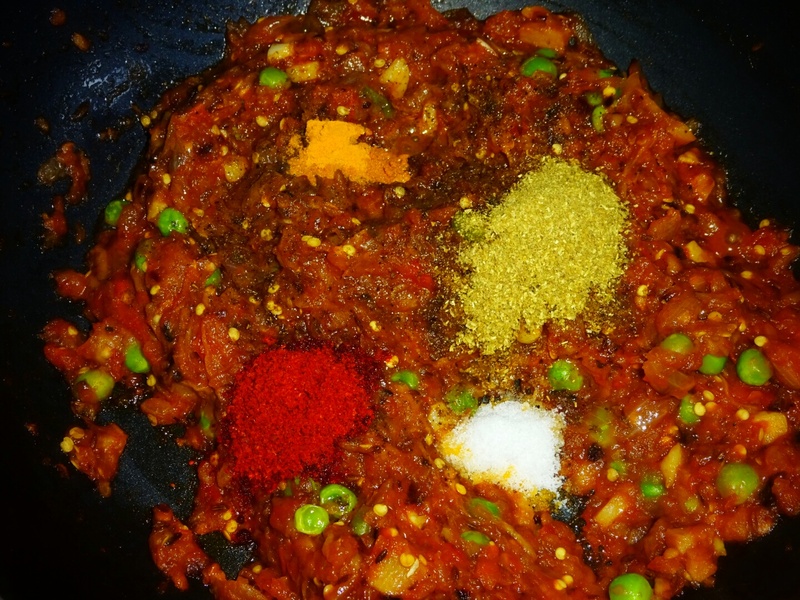 ⚫✏ Add all dry spices (that is Red chilly powder, Turmeric Powder, Coriander Powder and salt to taste) and mix well. 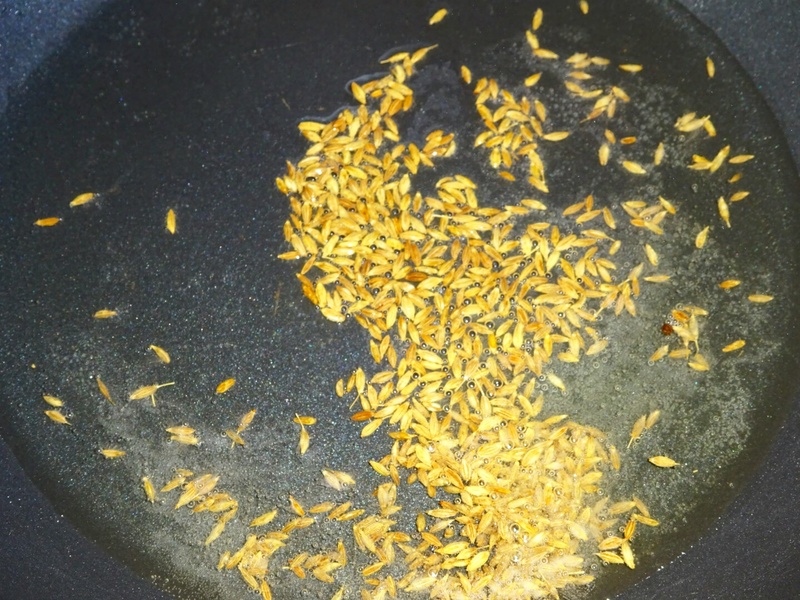 ⚫✏ Add very little water as it help to blend dry ingredients well and give moisture to our recipe, and cook for 3-5 minutes on slow flame till done. 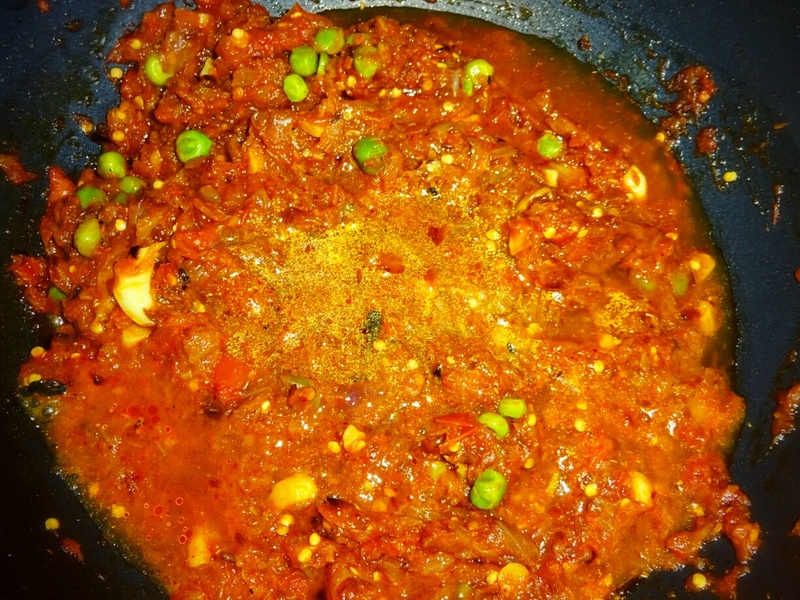 ⚫✏ Lastly add one tsp of garam masala powder, add and mix well. 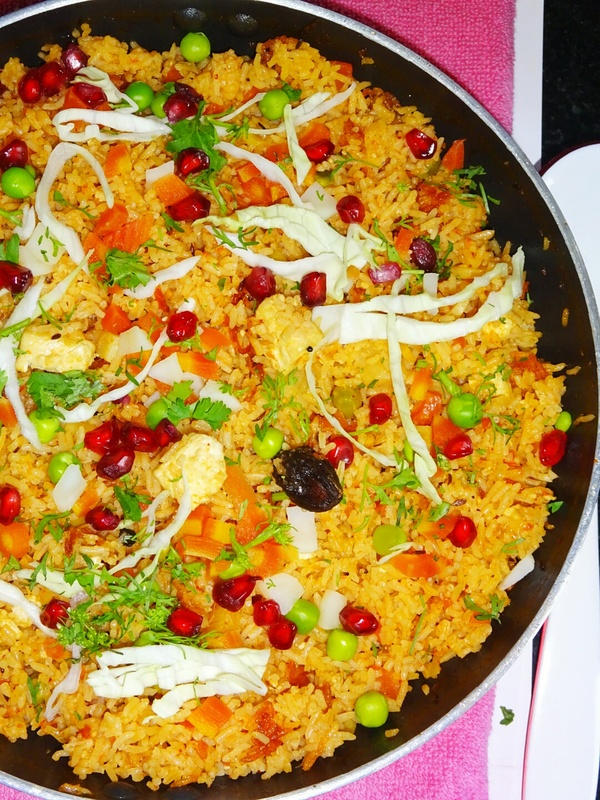 ⚫✏ Serve hot garnished with coriander leaves and boiled peas. 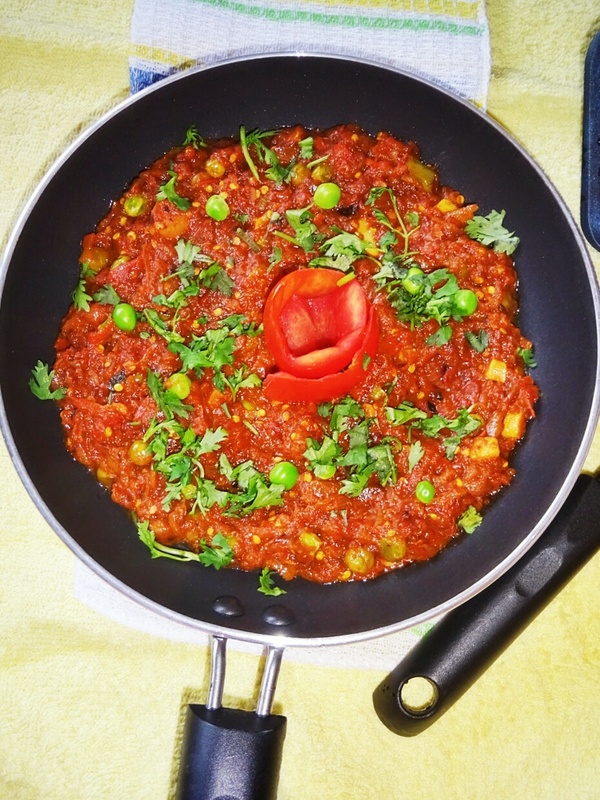 Your Baingan Ka Bharta is ready to serve with puri, chappati or jowar roti. Update (Dec 19, 2014) : updated with new images as old one clicked from mobile handset). 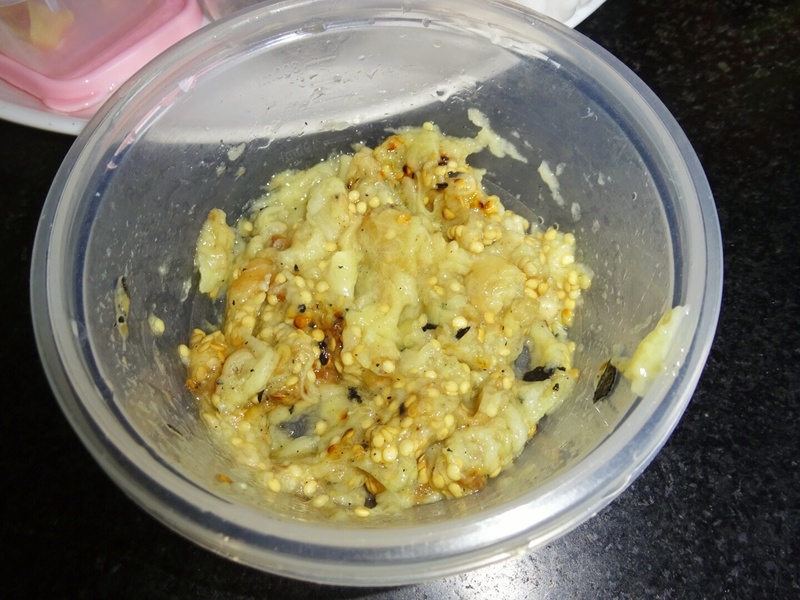 Gathiya and Punjabi Urad Dal Wadi Ki Sabzi..